'The X Factor' had peak audiences of 11.4 million and 13.1 million viewers on Saturday and Sunday night respectively, slightly below highs of 12.7 million and 14.2 million experienced for the shows last year, when fronted by Simon Cowell. Last night’s ‘The X Factor’ peak of 13.1 million represented a 45% share of the TV watching audience compared with a share of 48% in 2010. If ITV1 +1 is included the peak audience was 13.8 million and a 47% share. Between 7.30pm and 9pm last night ‘The X Factor’ had an average audience of 10.63 million on ITV1 and ITV1 HD, a 38.7% share of the available audience. An additional 507,000 viewers watched the show on ITV1 +1. The second in the series of period drama ‘Downton Abbey’ had an average audience of 9.15 million between 9pm and 10.15pm on ITV1 and ITV1 HD last night, a 34.4% share. An additional 420,800 viewers watched on ITV1 +1. ‘Downton Abbey’ is pulling in bigger audiences than it did for comparable shows in its first series last year. The second episode in 2010 had an average audience of 8.3 million viewers, a 31% share. ITV comfortably beat all other channels between 7.30 and 10.15pm. ‘Antiques Roadshow’ had an average audience of 5.65 million viewers, a 20.2% share, between 8pm and 9pm on BBC One and BBC One HD. ‘Spooks’, the BBC’s long running spy drama, could only manage an audience half the size of ‘Downton Abbey’. The hour long show was watched by an average of 4.15 million between 9pm and 10pm on BBC One and BBC One HD, a 15.2% share. On Saturday night ‘The X Factor’ contestants reached the "boot camp" stage and the show had a peak audience of 11.4 million and a 46% share across ITV1 and ITV1 HD. Including ITV1 +1, the peak was 11.8 million viewers and a 49% share. 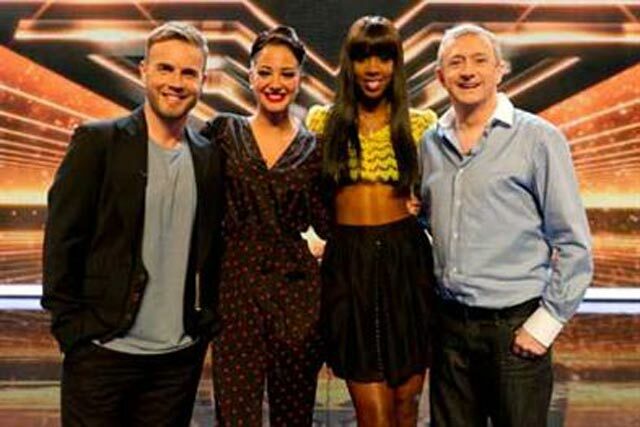 Between 7.30pm and 9pm ‘The X Factor’ was watched by an average audience of 10.01 million, a 43% share, on ITV1 and ITV1 HD. An additional 298,500 watched the show on ITV1+1. An average of 7.0 million viewers, a 32% share, watched ITV1 across peak time (between 7pm and 10.30pm) on Saturday night compared to an average 3.8 million viewers, an 18% share, for BBC One. On BBC One ‘Doctor Who’ had an average audience of 5.25 million, a 24.6% share, between 7.15pm and 8pm, and ‘Casualty’ had an audience of 3.80 million, a 16.2% share.